Another installment of Scrapbook Thursday. 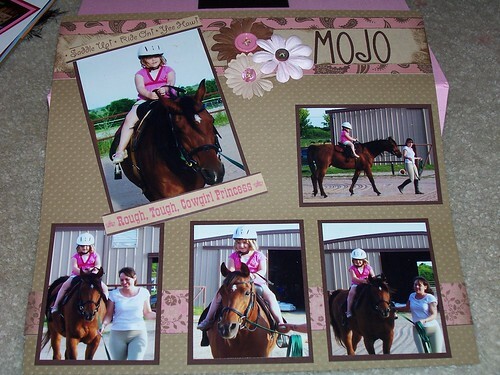 For the first time ever I have scrapbooked a horse page. It was fun. 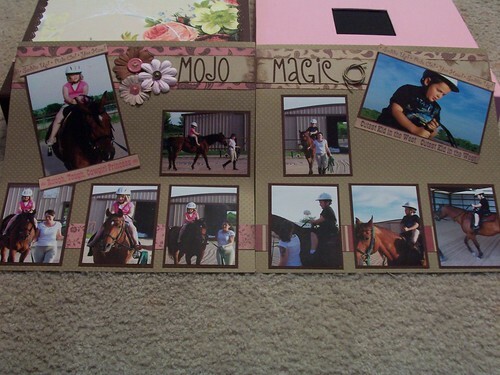 I think the western/horse papers out there are darling but this is the first time I've been able to use some. The line by Creative Imaginations has a sheet of strips that I cut up to get the different patterns and word lines. Over all I am very happy with these pages. I wasn't sure if I wanted to do the kids together or separately. Since we did it together, I scrapped it together. 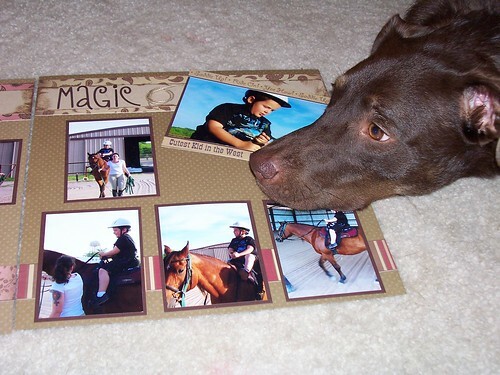 My amazing scrapbooking (jealous) dog.